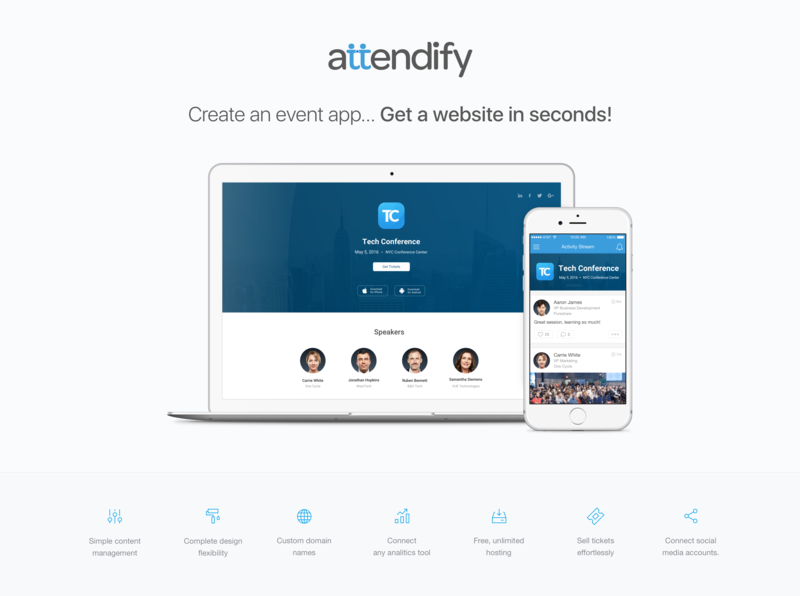 Attendify, a leading provider of social-first event apps is launching a turnkey solution to help event planners create fully customizable, content-rich event websites in minutes. Attendify’s new feature powers event websites, embeddable widgets, and even supports the ability to add event content to custom designed HTML pages. Our website solution will save our customers countless hours and deliver a seamless digital experience for attendees. Attendify, the world’s leading self-service event app platform is announcing a turnkey solution that makes it easier than ever to launch an event website. Event planners can now use Attendify to create a fully featured website or embeddable widget in seconds, dramatically reducing time, cost, and complexity of launching a web presence. “Many of our customers struggle to create event websites and end up using solutions like WordPress, which were never designed to handle the complexity of event content,” says Michael Balyasny, Attendify’s CEO. “Attendify already offers the simplest way to create an event app, now we’re extending the platform to power websites and embeddable widgets while keeping data seamlessly synchronized." 1. Template - launch a website using a responsive template in less than 5 clicks, content is added and updated automatically. 2. Embeddable Widget - for planners who already have an event website, Attendify’s embeddable widget makes it easy to add a schedule, list of speakers, or sponsors to any page. 3. Custom HTML - if you’re a web designer or developer the sky’s the limit. 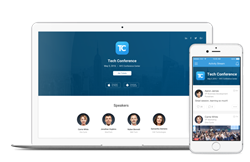 Create a completely custom design and easily bind event content anywhere you need it. Attendify’s website solution is available to anyone who creates a free account and starts building an event app. Event planners can start by uploading basic event information and within seconds a website or embeddable widget is ready to launch, all while simultaneously building their event app. Attendify offers free hosting for websites created on their platform and supports custom domain names as well as a variety of other customizable settings.